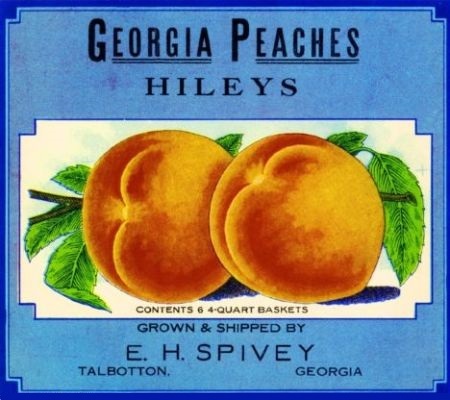 First appearing in the United States during the 1880s, paper crate labels were designed to draw attention to produce boxes and make them stand out at public markets. By the 1970s, though, pre-printed cardboard boxes had replaced the use of paper labels on wooden packaging, so discarded and unused crate labels became collector’s items. Thanks to the expansion of the U.S. rail network during the late 1800s, growers were suddenly able to ship produce from one coast to the other. Labels helped identify a box’s contents, company name, and source location while this produce was en route. 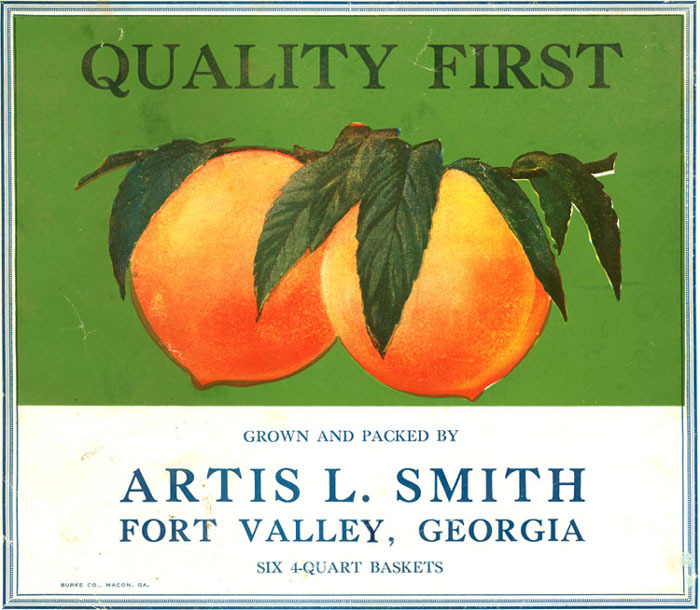 Primarily affixed to the ends of wooden boxes containing fresh fruits and vegetables, crate labels were also an early form of company branding and advertising, featuring full-color lithographed imagery with clever slogans and logos. By the first half of the 20th century, the retail function of crate labels was firmly established. Most markets and grocery stores displayed produce in the same wooden crates in which it was delivered, so colorful labels became a great way for growers to differentiate their products from competitors and catch a shopper's eye. Labels emblazoned with tropical flowers, boats, and bathing beauties adorned produce boxes in markets across the country. Common brand names like “Snow Owl Apples,” “Wise Bird Citrus,” or “Blue Goose Pears” included dazzling images of fruit and animals, while other crate-label genres featured majestic landscapes, grand farm vistas, or stylized cowboys and Indians. Since crate-label designs were typically created by commercial artists working in large cities, attributing label artwork to specific individuals is often impossible. While some paper labels are found still attached to their original wooden crates, these are generally in poor condition. Those which remained out of circulation are typically more desirable. Though most crate labels represent a reasonably affordable category to collect, value is determined by age, rarity, and visual appeal. Click label to see larger image compliments on the University of Georgia Extension Service.